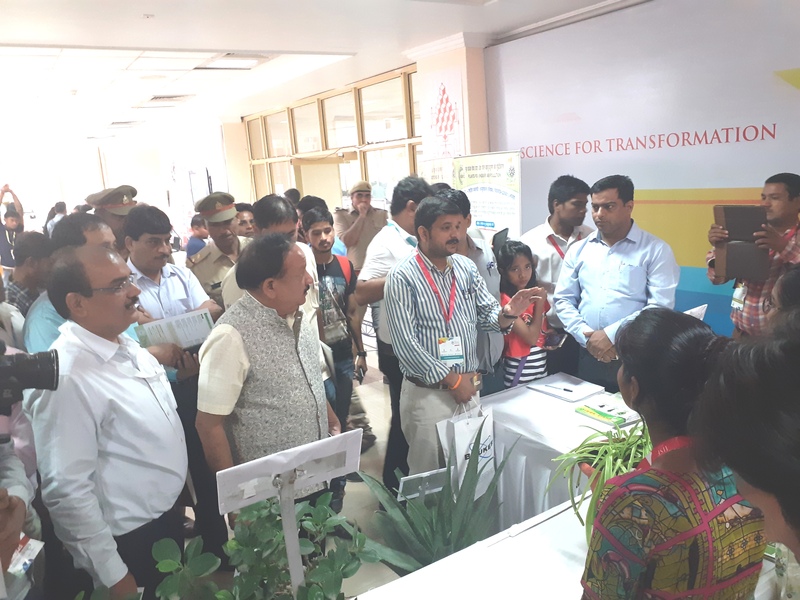 India International Science Festival (IISF)-2018 is being organized by Ministry of Science and Technology, Ministry of Earth Sciences in association with Vijnana Bharati at Indira Gandhi Pratishthan, Lucknow during 5-8 October, 2018. 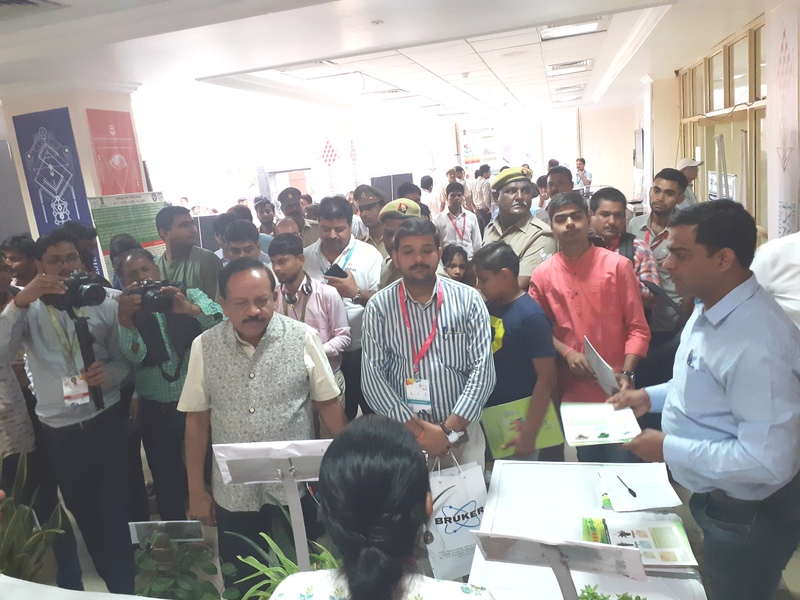 During IISF-2018 at Indira Gandhi Pratishthan, Lucknow on October 7th, 2018 the Union Minister of Science and Technology, Dr. Harsh Vardhan visited at ENVIS RP-NBRI stall. 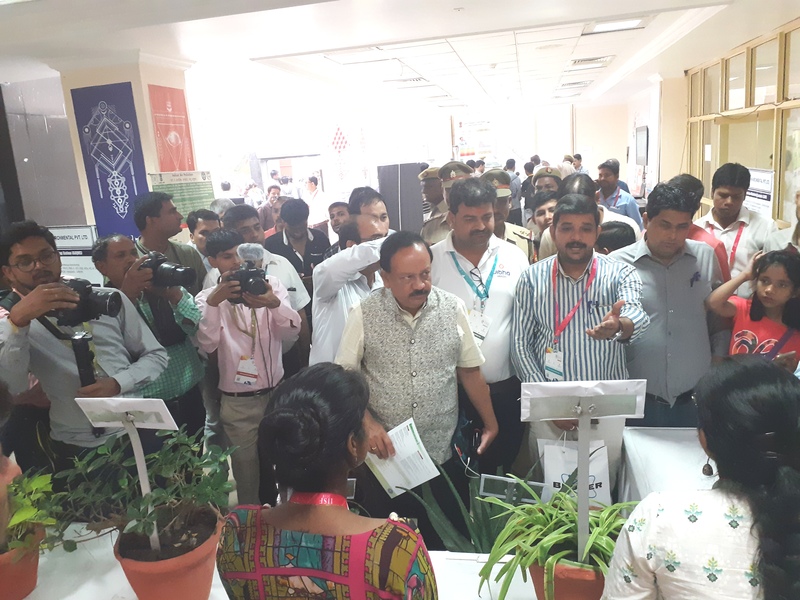 India International Science Festival has started with grand participation of scientists, students and experts from the country and abroad. 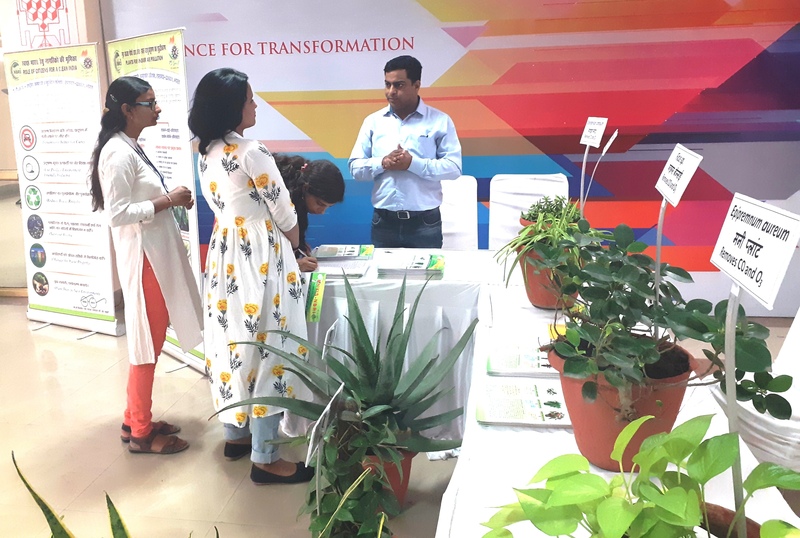 Young scientists and students at the Stall had detailed information about the plants reducing indoor air pollution. 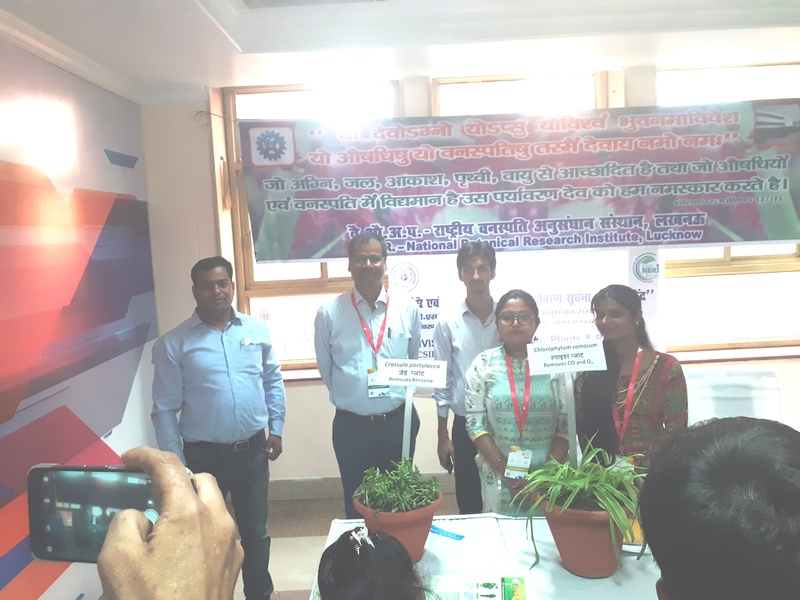 ENVIS RP-NBRI team lead by Mr. Sunil Tripathi, Programme Officer briefed the plants using educational posters and ENVIS Newsletters entitled “Indoor Air Pollution” Vol. 12 No. 1, January 2016 and “Aantarik Pariveshi (Indoor) Vayu Pradushan” Vol. 13 No. 2, April 2017. 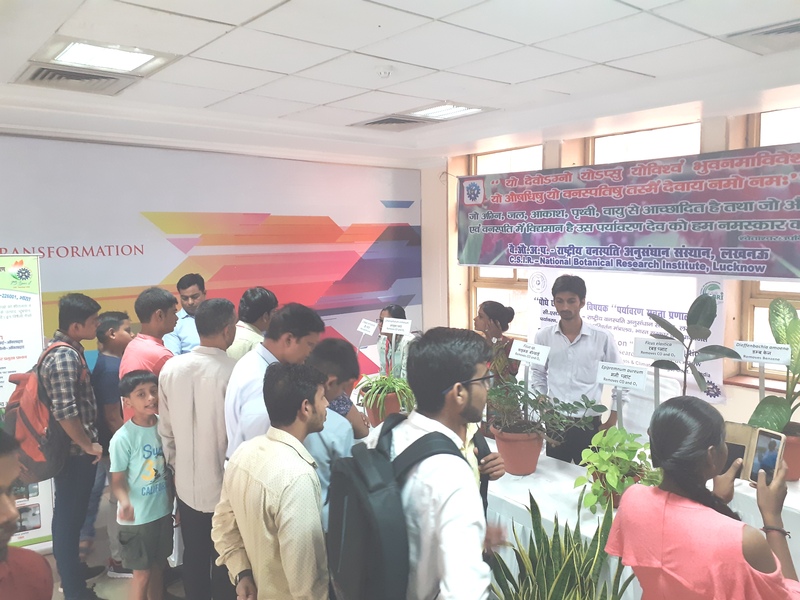 20 plants were show cased at the stall that can reduce indoor air pollution viz. Ficus elastica, Chlorophytum comosum, Epipremnum aureum, Chrysanthemum indicum, Dracaena reflexa etc. having the capacity to absorb harmful pollutants like carbon mono oxide, benzene, ozone, formaldehyde etc. 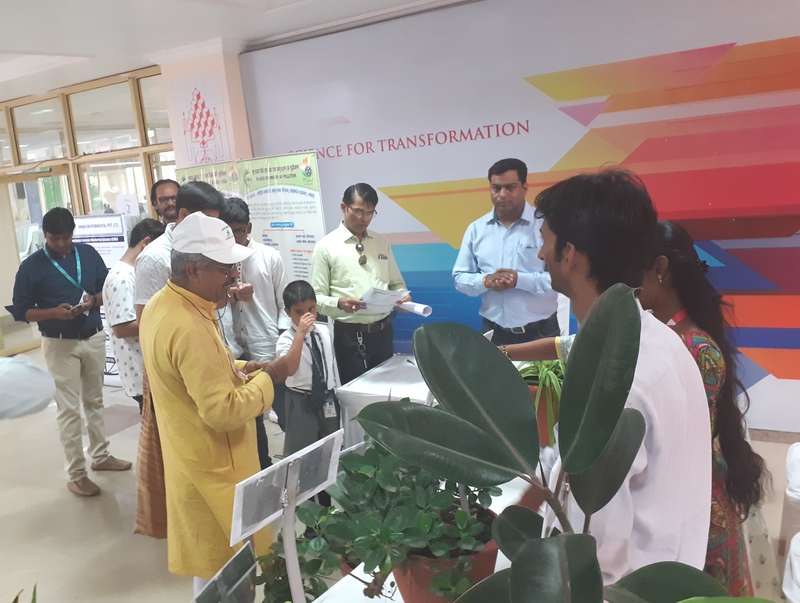 Dr. Saroj Kanta Barik, Director CSIR-NBRI also monitored all the activities during the program. 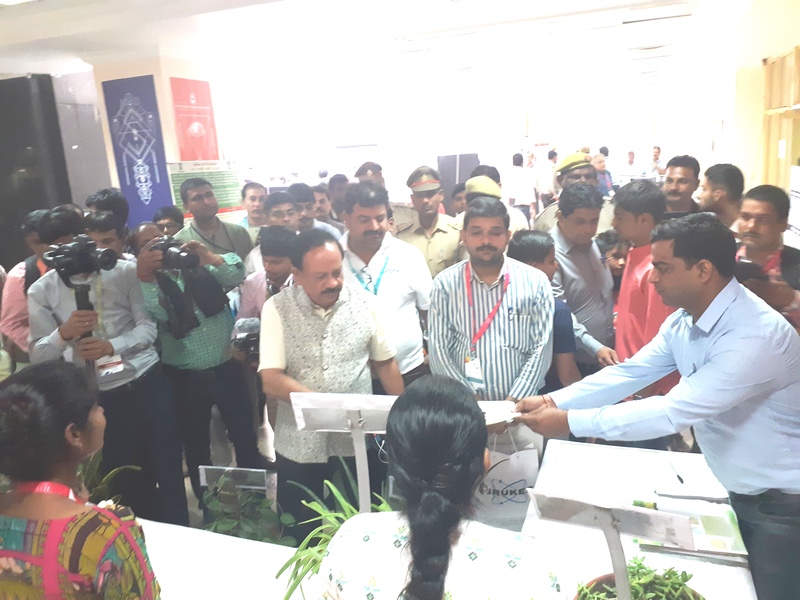 The distribution of ENVIS RP-NBRI Newsletters and brochure to the visitors and students was also made.